We partner with one of the most popular data centers in Great Britain - Pulsant, which is located several miles north-west of London and which offers ideal conditions for hosting web sites whose visitors live in Great Britain and Continental Europe. It will guarantee you the fastest web page load speed conceivable. 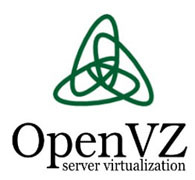 The UK datacenter option is available with all shared web hosting packages, as well as with all OpenVZ-based Virtual Private Servers. Select the hosting service that you desire on the order form and then select the UK datacenter from the pull-down list.